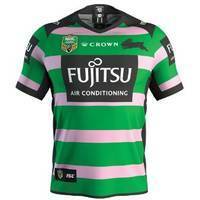 For the first time ever the South Sydney Rabbitohs will run out in their very own Women in League Jersey when they host arch rivals the Sydney Roosters in Round 22 at ANZ Stadium on Friday 10 August. 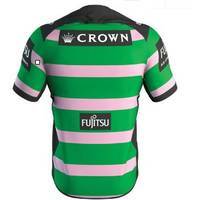 In a simple yet effective change, the famous Cardinal Red hoops are replaced with pink to represent all the women that are a part of the mighty Rabbitohs at any and every level. Make sure you grab yours before they fly off the shelves!